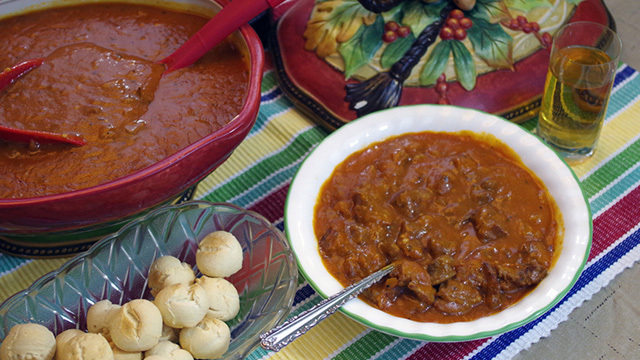 This warm and flavorful turtle soup recipe will make you feel like you're right at home at Grandma's! 1. In a 5-quart saucepan, melt ½ stick of butter and add turtle meat. Cook over high heat until the meat is brown. 2. Add celery, onion, garlic and seasonings; cook until vegetables are transparent. 3. Transfer to a large Crock-Pot and stir in tomato purée, beef stock, salt and pepper. Cook on low 6 to 8 hours. 4. Make a roux by melting the remaining 2 sticks of butter in a cast-iron skillet. Add flour a little at a time and cook, stirring constantly, over medium heat until the roux is light brown. 5. Stir roux into soup in Crock-Pot and continue cooking on low heat until soup is smooth and thickened. Add lemon juice and parsley. 6. At the table, add 1 teaspoon sherry to each soup plate before serving.